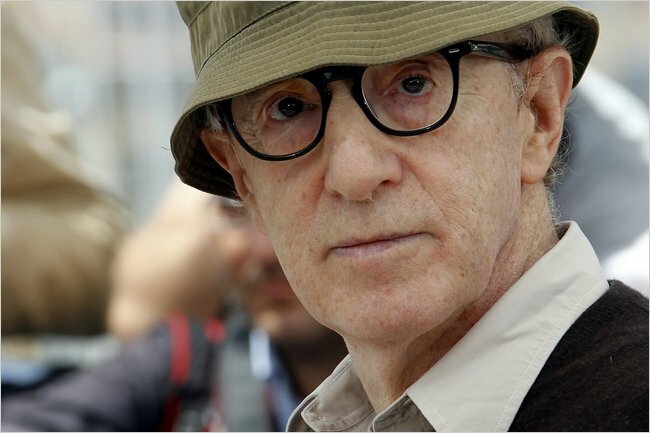 With the possible exception of his invention of the orgasmatron, Woody Allen is not necessarily known as an early adopter of cutting-edge technology. Still, Mr. Allen has taken a bold leap into the 21st century and recorded audiobook editions of the four collections of humorous essays he published from 1971 to 2007, the digital agency ClearMetrics said on Tuesday. Mr. Allen’s readings of his anthologies “Getting Even,” “Without Feathers,” “Mere Anarchy” and “Side Effects” — including his short story “The Kugelmass Episode” — can be purchased from Audible.com and iTunes; ClearMetrics also said that it had created a Web site for Mr. Allen at woodyallen.com, having wrested the domain name from two Icelandic college students. From the set of his coming film “Midnight in Paris,” Mr. Allen answered a few questions by e-mail about his digital upgrade and the fate of one of his best-known literary creations. Q. How were you persuaded to embrace the audiobook format? Do you own or regularly use any of the high-tech gadgets that play these files? A. I was persuaded in a moment of apathy when I was convinced I had a fatal illness and would not live much longer. I don’t own a computer, have no idea how to work one, don’t own a word processor, and have zero interest in technology. Many people thought it would be a nice idea for me to read my stories, and I gave in. Q. What was the recording experience like for you? Did you make any new discoveries about these pieces in rereading them? Did it take you back to the frame of mind you were in when you first wrote them? A. I imagined it would be quite easy for me, and, in fact, it turned out to be monstrously hard. I hated every second of it, regretted that I had agreed to it, and after reading one or two stories each day, found myself exhausted. The discovery I made was that any number of stories are really meant to work, and only work, in the mind’s ear and hearing them out loud diminishes their effectiveness. Some of course hold up amusingly, but it’s no fun hearing a story that’s really meant to be read, which brings me to your next question, and that is that there is no substitute for reading, and there never will be. Hearing something aloud is its own experience, but it’s hard to beat sitting in bed or in a comfortable chair turning the pages of a book, putting it down, and eagerly awaiting the chance to get back to it. Q. Are you of the opinion that the printed word is dying out? Will your conversion — literally and figuratively — to digital audiobooks lend credence to these depressing forecasts? A. I can only hope that reading out loud does not contribute to the demise of literature, which I don’t think will ever happen. When I grew up, one could always hear T. S. Eliot, Yeats, S. J. Perelman and a host of others read on the Caedmon label, and it was its own little treat that in no way encroached on the pleasure of reading these people. Q. Did Kugelmass ever escape from that irregular Spanish verb? A. As far as Kugelmass goes, he’s being chased by the same obnoxious verbs that still chase me.